Since the first mention of DMB in our community, many sufferers began consuming the foods rich in DMB, balsamic vinegars, red wines, some cold-pressed extra virgin olive oils and grapeseed oils, and they began to see a decrease in their odor level. In December 2015 and January 2016, MEBO wrote 2 posts in this blog about a press release and an article on 3,3-Dimethyl-1-butanol (DMB), which is a structural analog of choline found in some foods, such as balsamic vinegars, red wines, some cold-pressed extra virgin olive oils and grapeseed oils. DMB inhibits TMA production by gut bacteria, which in turn allows TMAU sufferers to consume the much needed, essential nutrient, choline, without resulting in body or breath odor. See The Adequate Intake (AI), the dietary reference intake (DRI) for choline established in 1998 by the U.S. Food and Nutrition Board of the Institute of Medicine, and the diseases associated with choline deficiencies. CAUTION: Some sufferers have found that Resveratrol increases their blood pressure. Please check your blood pressure before and during taking resveratrol. Although several studies indicate the direct effect Resveratrol has on TMA production in mice, as does DMB, much more research needs to be done with human subjects before arriving at scientific certainty of the effects of Resveratrol. Until Dr. Hazen's new supplement manufactured by Proctor and Gamble becomes available in the market, Resveratrol seemed to be the best outcome not only for TMAU sufferers, but also possibly for some non-TMAU sufferers who also suffer from body/breath odor, but who have received negative results in their TMAU test. Hazen says DMB, the olive-oil molecule from his study, is too weak to put into a pill. He’s working on creating stronger inhibitors. Since the first mention of DMB in our community, many sufferers began consuming the foods rich in DMB, i.e., balsamic vinegars, red wines, some cold-pressed extra virgin olive oils and grapeseed oils, and they began to see a decrease in their odor level. They determined this by their own perception of their odor, by feedback from others, and also by the lack of the "typical" social reaction to breath/body odor. However, although many found it beneficial, in quite a few cases, the odor changed from constant to intermittent and in others, it went from intense odor to dull odor. Consuming these foods just was not enough in some cases. Resveratrol has NOT been researched for odor conditions. We are just going by what sufferers tell us that their odor condition has improved or has been totally controlled by Resveratrol and/or DMB supplements and/or foods rich in DMB. Importantly, the purity of commercial [resveratrol] products is rarely well defined, its oral bioavailability is poor and the form responsible for its activity is not known. Eventually, sufferers began to expand their source of DMB with Grape Seed oil supplements. Others began to take Resveratrol in addition to, or instead of, Grape Seed supplements. Of all the options that we currently have until Dr. Hazen's product comes out in the market, Resveratrol seemed to be the best outcome not only for TMAU sufferers, but also for some (not all) body/breath odor sufferers who have received negative results in their TMAU test. Proctor & Gamble is in the process of manufacturing a supplement designed by Dr. Hazen to inhibit gut bacteria from converting the choline and carnitine we consume into the odorous chemical, trimethylamine (TMA). He discovered this with the aim of reducing TMAO, which is the result of the metabolism of TMA in the liver. To most TMAU sufferers, the most important aspect of the product Dr. Hazen designed is that it will inhibit the formation of TMA by gut bacteria, and the Proctor & Gamble TMA-blocker will be stronger than DMB. As for the academic researchers, Hazen says DMB, the olive-oil molecule from his study, is too weak to put into a pill. He’s working on creating stronger inhibitors. Although several studies indicate the direct effect Resveratrol has on TMA production in mice, as does DMB, much more research needs to be done with human subjects before arriving at scientific certainty of the recommended dosage and effects of Resveratrol. In human trials, doses of resveratrol have ranged from 20 mg to 5 g daily; and a typical over-the-counter recommended dose is 500 mg twice daily. Importantly, the purity of commercial products is rarely well defined, its oral bioavailability is poor and the form responsible for its activity is not known. Thus, resveratrol exists in both trans and cis configuration and the major form found in plasma is a sulfated or glucuronidal conjugate rather than free resveratrol. At present, there is no conclusive evidence that resveratrol has beneficial effects in humans [as it does in mice and other lower life forms]. On the other hand, it has few if any side effects. Side effects may include minor gastrointestinal upset, nausea, headache and fatigue and possible supplement-drug interactions with estrogens and anticoagulants. Quite a few sufferers in the MEBO community have been taking Resveratrol for a few months now, with excellent results in decreasing or completely eliminating their odor symptoms while increasing consumption of foods high in choline, carnitine, and lecithin. This results is by no stretch of the imagination a scientific finding, but it merits sharing the information with other sufferers around the world. 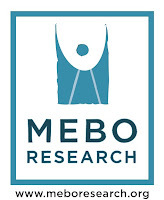 Since the quality of over the counter Resveratrol varies significantly with the various brands, a MEBO volunteer took the initiative to research the various brands in order to better assist sufferers in obtaining the finest brand in the market. Of course, as the quality increases, so does the price. Therefore, MEBO is most grateful to this volunteer who negotiated a discount exclusively for the MEBO Community with a company called Mega Reseveratrol, who certifies that theirs is 99% Pure Trans-resveratrol. It claims to be "100% Natural, 100% Vegetarian, Non-GMO, and Absolutely NO excipients (a.k.a.“Inactive Ingredients”) added." It is so pure that its color is white/off white. The darker the capsules sold in the market, the more fillers it has. Mega Resveratrol yields a minimum of 99% pure trans resveratrol extract, the highest potency available. Of that 99%, 100% is pure trans-resveratrol, the beneficial compound in resveratrol and the preferred form over cis-resveratrol. Mega Resveratrol is micronized for optimal absorption and bio-availability with an average particle size of under 1.9 µm, compared to 170 to 240 µm of standard resveratrol. Our products are made with no excipients (fillers, binders, additives, flaw-agent or preservatives- A.K.A inactive-ingredients) added. Mega Resveratrol contains pure trans-resveratrol and nothing else. Mega Resveratrol is wild-harvested, 100% natural, 100% Vegetarian and is purity-certified by independent U.S. laboratory. Our products are manufactured in USA. Anyone who is not already a member of the MEBO Community and is interested in joining to obtain a significant discount on the 99% Pure Trans Resveratrol by MEGA Resveratrol, please subscribe to this Blog (see end of this post or blog sidebar) or at www.meboresearch.org, and also email me at maria.delatorre@meboresearch.org. This can be arranged by email requests only. NOTE: MEBO does not receive commission or profits in any way with the purchases of this product. All discounts go directly to the sufferer purchasing it. Please keep in mind that especially if you have tested negative for TMAU, what works for TMAU sufferers may not work for you at all if you don't have TMAU. Note that there has been no serious research on resveratrol's effects on body odor or even on general health with long-term use. If you think resveratrol may be causing you side effects, it is be best for you to discontinue using it and consult with your doctor. "Caution: Persons taking medications that affect platelet aggregation (such as aspirin, warfarin, NSAIDs) or persons with bleeding disorders, such as peptic ulcers should consult a healthcare professional before using grape seed extract." "Caution: Do not exceed recommended dose. Pregnant or nursing mothers, children under the age of 18, and individuals with a known medical condition should consult a physician before using this [resveratrol] or any dietary supplement." Possible "Side effects may include minor gastrointestinal upset, nausea, headache and fatigue and possible supplement-drug interactions with estrogens and anticoagulants." Please always take heed and beware when a sufferer tells you that a product or diet has not been research for body or breath odor conditions, or whether it has been researched ONLY for TMAU, which you might not have. It might not work for you. As far as I know, no halitosis or body odor expert has recommended resveratrol for these conditions, and therefore, MEBO does not recommend it either. It is an interesting product worthy of further research in relation to halitosis and body odor. Please be careful because some sufferers have found that Resveratrol increases their blood pressure. Please check your blood pressure before and during taking resveratrol.